Bundesliga | Ronaldinho fan Jadon Sancho on Borussia Dortmund move: "I wanted minutes under belt"
Ronaldinho fan Jadon Sancho on Borussia Dortmund move: "I wanted to get minutes under my belt"
Borussia Dortmund prodigy Jadon Sancho has said he was focused on getting senior playing time when he moved to Germany, but he’s now set to fulfil a dream by getting his first cap for England. Sancho earned a senior call-up at international level this month following a stunning start to the season, during which the 18-year-old chalked up a goal and a whopping six assists in seven Bundesliga matches. The bulk of those appearances came from the bench, but he has also started and starred in Dortmund’s two UEFA Champions League wins over Club Brugge and Monaco. The former Manchester City winger’s rapid development has been rewarded with a new contract - proof that his decision to move to Germany in August 2017 has paid off in a big way. 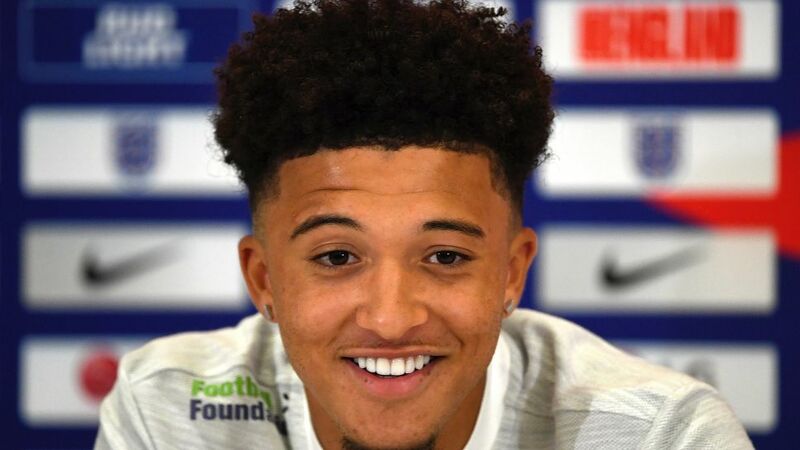 "I was just focused on improving as a player," Sancho said of his decision to join Dortmund while speaking at an England press conference on Wednesday. "[It's] a city that loves football like no other. My main focus was to play first team and obviously get minutes under my belt." Sancho could make his first appearance for England in their UEFA Nations League match in Croatia on Friday after clocking up more assists than the likes of Lionel Messi in league action this season. The Londoner has also set up goals in the DFB Cup and Champions League this term in an unbeaten start to the campaign for the Bundesliga leaders. It is perhaps no surprise that he is so creative, however, given that his role model as a child was former Barcelona and Brazil star Ronaldinho. "I would say I'm a bit tricky, direct and just confident," he said. "I believe in myself in one-on-one situations. I used to look at Ronaldinho, growing up, on YouTube. I just liked how he used to carry his team sometimes… and obviously he used to try things that no one else would try." Sancho said there’s "a nice vibe" at his club, but he was not too keen to show off what German he has learned so far. "It’s alright," he said. "It's a bit difficult but I've still got a long way to go to learn." Sancho, who also spent several years in Watford’s academy, is now living a childhood dream by linking up with England’s senior team, saying it was "the biggest thing" that could happen to a teenager like him. "I was at training when I first got the call-up," he said. "Straightaway I called my parents, and obviously they were just delighted for me. I just couldn’t stop smiling for the whole day." Just like the smiles he has provided many Dortmund fans and Bundesliga followers this season, with many more expected to come - who knows, maybe also some for England fans on Friday.